Here at ISB Mobility, we have a large team of professionals who will be more than happy to answer any questions or queries you may have. We stock some of the very best disability aids on the market, and we take great care to focus on product variety, so that you are guaranteed to find something to suit all of your requirements. All of our products have been tried and tested by our professionals to ensure their quality and to make sure that they are fantastic value for money. 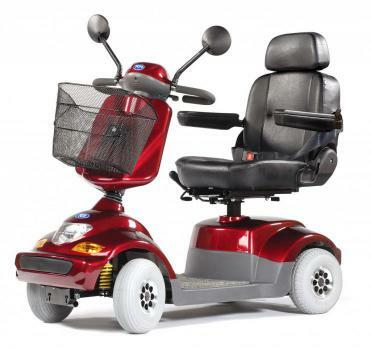 If you have been looking for the best disability aids on the market, you will be pleased to know that we stock a wide range including mobility scooters, rollators, walking frames, tri-walkers, crutches, recline chairs, toilet aids, commodes, shower chairs, ramps, and much more. We are always on hand to help you throughout the entire process from the initial query through to the purchase and aftercare stages. Just give us a call today and we will be more than happy to guide you. As a leading company offering the very best disability aids on the market, we will be more than happy to guide you throughout the whole process of placing your order. At our showroom, we have a team of experts who will be able to answer any questions or queries you may have and will be able to advise you on the best product to fulfil your requirements. To enquire with a member of our fantastic team about the best disability aids on the market, feel free to give us a call on 01 616 7079 today. We can book you in for a consultation at our showroom or help you place an order over the phone. Alternatively, fill out the contact form found on our website, and we will get back to you as soon as we can.